For artists and their art to fulfill their role the art has to be seen by as many people as possible. The Artists-Connect art sponsorship project sets out to take art to where people are and be part of their everyday lives. The motivation behind the project is to keep people in touch with the natural world through contact with art that presents both images and ideas of landscape and the issues that are affecting the natural environment. Its hoped that the art will have the effect of temporarily allowing the individual viewer to remove themselves from the pressures and concerns of the workaday world, returning to their day-to-day activities refreshed and, hopefully, inspired. Either with a venue already in mind or just the desire to sponsor an art project a business can finance the installation of a complete exhibition for a defined period from a week to a month or more. During the time of the exhibition the sponsor may make whatever use of it they like to create events or generate useful public relations campaigns. Artists-Connect will support the sponsor with credit signage and online recognition. The practicalities taken care of. As well as providing the art for exhibitions Artists-Connect will provide the technical support required to set up the installation. The installation of the art works will not affect the fabric of any venue by using Art-Posts. Art-Post is a unique art dipslay system that is becoming increasingly popular among artists because it allows the exhibition of their work in a wide variety of interesting spaces and do it securely and quickly. There will be no need to drill holes in walls for hooks and exhibitions can be laid out to work with the other uses a space might have. Artists-Connect will organise and co-ordinate the installation process with the venues management. 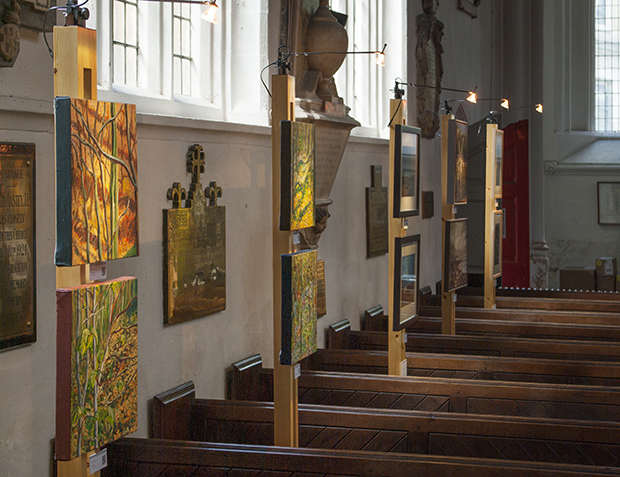 Please express your interest in sponsoring an art exhibition by sending a email to Stuart Nurse of Artists-Connect. The Art Post website will show you how Art Posts work and enable you to assess their suitability for any intended venue. Use the button below to go there. Below are some images of Art Post in use, there are more on the Art Post website. 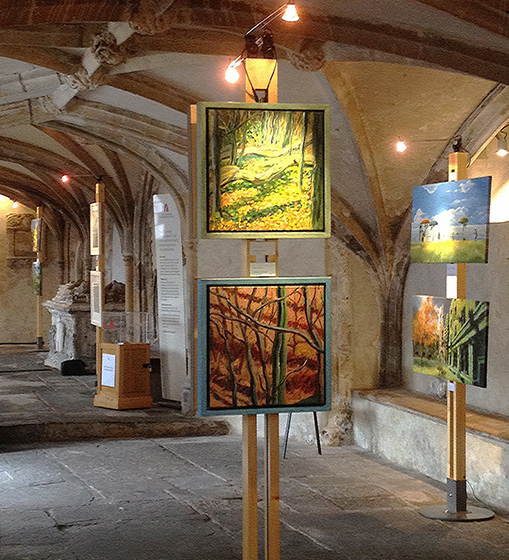 The free-standing Art Posts enabled an art exhibition to be installed in this historic space without affecting the ancient fabric of the building. 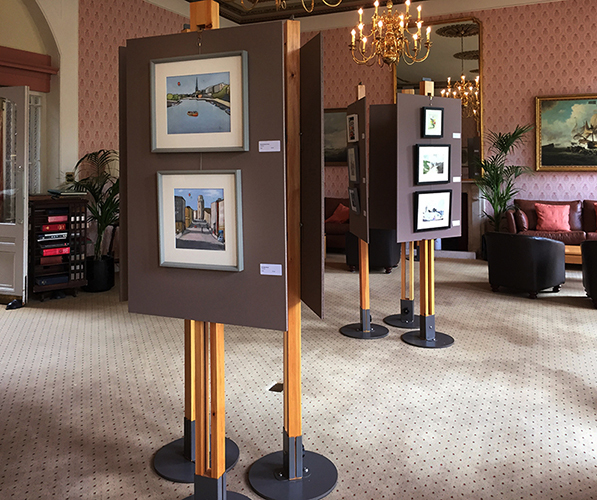 An exhibition by Clifton Arts Club at The Clifton Club in Bristol. A creative use of Art Posts. 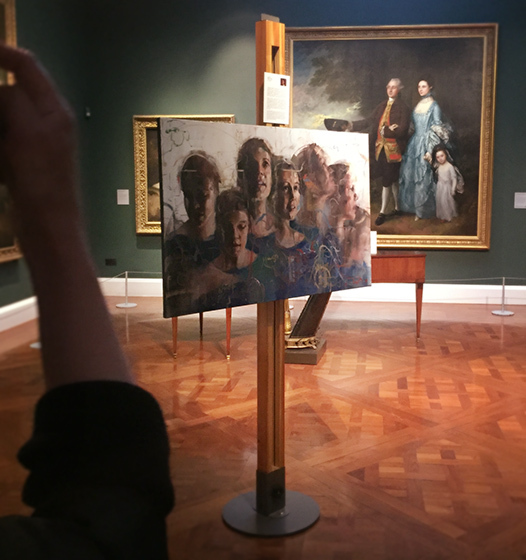 An Art Post in use at the Holburne Museum, Bath for a special event. 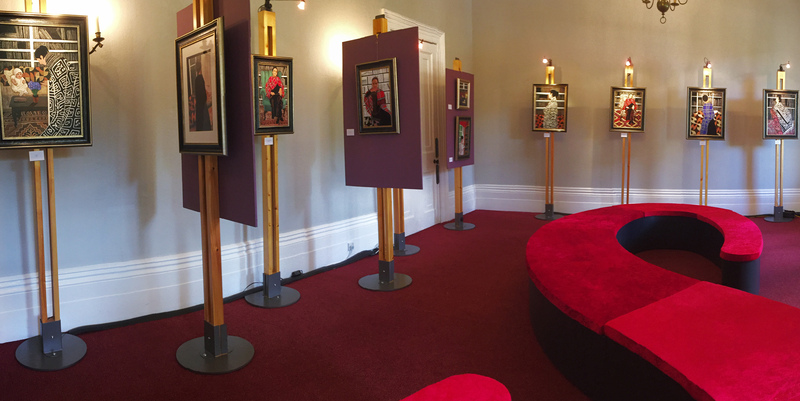 A large exhibition set up in a prestigous venue with Art Posts. 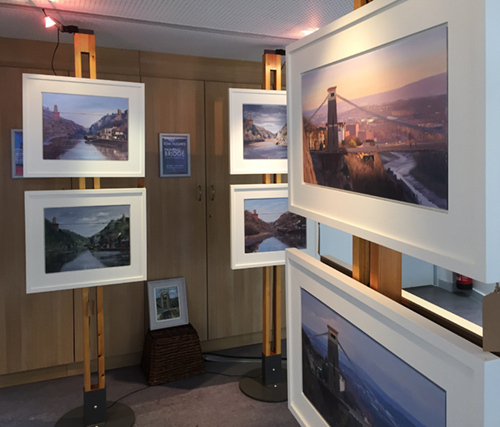 Exhibiting art at Clifton Suspension Bridge Visitors Centre with Art Posts.